The Trump Administration has talked a lot about “making American infrastructure great again.” It is certainly true that all kinds of infrastructure - like roads, bridges, pipelines, and water treatment plants - are badly in need of repairs and upgrades. But “making infrastructure great” goes well beyond capital investments. Successfully operating and maintaining infrastructure requires technical, financial and managerial savvy - in addition to funding for O&M needs. Increasing numbers of extreme weather events, forecast by climate modelers, will put additional demands on already stressed infrastructure community systems. Prior to FY18, EPA’s approach was to address the full life cycle of infrastructure needs, including support for the “business side”of infrastructure operating and maintenance. The Trump Administration would eliminate or scale back nearly all of EPA’s infrastructure programs - even the programs Scott Pruitt claims are priorities. "EPA is implementing a Sustainable Water Infrastructure Policy that focuses on working with states and communities to significantly expand more effective management and enhance technical, managerial and financial capacity within the drinking water and wastewater sectors. The agency will continue to promote capacity building, small system partnerships, and full-cost pricing, which all have the potential to reduce the long- term need for water infrastructure investment. Important to enhancing the technical capacity of the water sector, the EPA will utilize alternatives analyses to expand green infrastructure options and their multiple benefits. Implementation of the Water Infrastructure Finance Innovation Act program (WIFIA), federal dollars provided through the State Revolving Funds (SRFs) and support from the Water Infrastructure and Resiliency Finance Center (WIRFC) and the Center for Environmental Finance (CEF) will act as catalysts for efficient system-wide planning and ongoing management of sustainable water infrastructure." The Drinking Water State Revolving Fund is a capital investment program, providing funding for new infrastructure improvement projects for public drinking water systems. The FY18 budget reduces funding by ~11%. Public Water System Supervision Grants provide funding for local water suppliers to address water testing & analysis, operator training, reporting, enforcement and communication with users. The FY18 budget cuts these grants by ~30%. A survey of drinking water infrastructure needs across the U.S. identified Alaska Native Villages as an especially disadvantaged population. EPA created the Alaska Rural and Native Village critical basic drinking water and sanitation infrastructure program to address this need, and funded the program at $19,962 in FY17. The Trump Administration has eliminated it. The Trump Administration has maintained funding for the CWSRF at FY17 levels, but the priorities have shifted. In FY 17, EPA created a 2% ($30 million) set-aside to address lack of access to safe drinking water and basic sanitation in Indian Country. That set aside is eliminated. EPA also set aside almost $10 million for planning, design, and construction of water and wastewater treatment facilities along the U.S. Mexico border. That program is also eliminated. 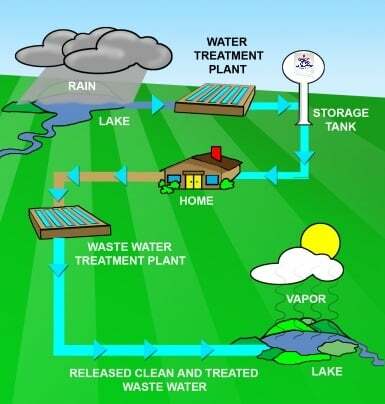 EPA targeted 20% of CWSRF funds towards green infrastructure for stormwater management. Green infrastructure is a proven and cost-effective alternative to traditional drains, pipes and treatment. It has proven to be especially effective in coping with flooding - something that quickly overwhelms traditional pipes and drains. The Trump Administration does not even mention green infrastructure. Green infrastructure takes advantage of natural systems ("nature's services") to reduce treatment costs. EPA also set goals provide technical assistance to 25 urban communities to advance green infrastructure planning and implementation, and provide tools and training for 1,000 operators of small water utilities to improve resilience in drinking water, wastewater, and stormwater systems. The FY18 budget discontinues the green infrastructure approach, and eliminated EPA’s training and outreach program around the Green Infrastructure Models and Tools toolkit. The Trump Administration will continue the Water Infrastructure Finance and Innovation loan program in FY18. Local zoning codes and land use regulations can increase or mitigate environmental impacts depending on how they are written and enforced. EPA has developed several programs aimed at helping local government decision makers effectively evaluate options when making infrastructure investments. In FY 2017, the agency proposed an allocation of $4.9 million for advanced monitoring technology to help communities in making local decisions. The FY18 budget discontinues these investments. EPA’s Smart Growth Program program provides resources to help tribes, states, regions, local governments, and the private sector undertake development in ways that bring multiple environmental, economic, health, and social benefits, including reducing greenhouse gas emissions and preparing for climate change. This program has been eliminated in FY18. The Partnership for Sustainable Communities is a partnership among Department of Housing and Urban Development, the Department of Transportation, and EPA aimed helping communities address housing, transportation, air pollution and stormwater runoff in an integrated way (including alignment of agency policies and grant application processes to reduce the burden on applicants. This program has been eliminated in FY18. The State and Local Climate Energy Program provides technical expertise about energy efficiency, renewable energy, and climate change policies and programs to interested state, local, and tribal governments. This program has been eliminated in FY18. Long-term sustainability of infrastructure requires utility managers to consider and plan responses to a variety of risks - such as extreme weather events, epidemics, chemical or petroleum releases and terrorism. EPA has legal responsibilities (by statute and directive) to support utility mangers and local responders through planning, coordination, training, technical support and direct response. EPA is designated as the Homeland Security “sector-specific lead” for water infrastructure. The FY 18 budget proposal reduces funding for this work by ~ 46%. EPA’s Critical Infrastructure Program provides resources to coordinate and support protection of critical water infrastructure from terrorist threats and all-hazard events all across the country. The Trump Administration has eliminated it. EPA’s Climate Ready Water Utilities initiative has also been eliminated. EPA also has multiple statutory responsibilities to respond to incidents where there may be exposure to hazardous chemicals, microbial pathogens, and radiological materials released through industrial accidents, natural disasters, or intentional sabotage. EPA’s Homeland Security: Preparedness, Response, and Recovery program would be reduced by ~36% in FY18. Funding for EPA’s Superfund Emergency response program would be reduced by ~20%. Under the Oil Spill Prevention, Preparedness and Emergency Response program, EPA is lead responder for cleanup of inland zone spills (pipelines, trucks, railcars, and other transportation systems). EPA provides technical assistance/support to the U.S. Coast Guard for coastal and maritime oil spills. The FY 18 budget indicates that EPA’s role in responding to marine and coastal spills will be reduced (or eliminated). Cleaning up contaminated properties to eliminate health and environmental risks while returning them to productive use is an important part EPA’s mission. The Trump Administration endorses this aspect of EPA’s mission - while slashing the resources needed to achieve results. Three programs address land cleanup and redevelopment: Brownfields, RCRA Corrective Actions (hazardous waste facilities) and Superfund. The Resource Conservation and Recovery Act (RCRA) provides the regulatory framework for management of waste, Corrective Actions (cleanups) of hazardous waste contamination at operating facilities. In FY17, EPA reported 3,779 operating hazardous waste facilities were undergoing cleanup (with another 3000 facilities with potential cleanup obligations). EPA said “these facilities include some of the most highly contaminated and technically challenging sites the EPA confronts in its cleanup programs.” The FY 18 budget proposal reduces funding by ~ 14%. Scott Pruitt has identified Superfund cleanups as his top priority. The FY18 budget proposal would cut the Superfund program overall by 30%. The portion of the Superfund program that pays for “orphan sites” (those with no viable responsible parties that can pay for cleanup) would be cut by 32%. The Superfund enforcement program (the “make the polluter pay” portion of the program would be cut by 48%. In early August, Pruitt announced that he would select 10 superfund sites and make sure they are cleaned up. There are presently 1,322 other sites on the Superfund National Priorities List, with another 53 proposed for listing. Hundreds of additional contaminated sites are waiting for evaluation. Additional funding cuts won’t help a program that is already hugely under-resourced.